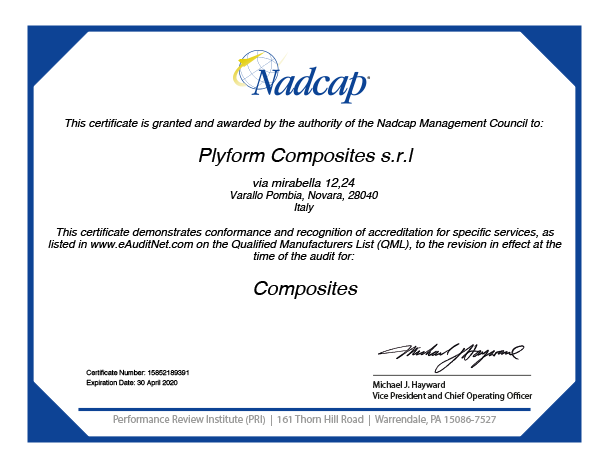 Plyform Composites Srl works with composites materials since early ‘80s. From the Idea of the three founders the company grown earnings in years main Customers approvals and certifications. The choice of turning to structural applications of advanced composites materials allows the company to work in all main industrial sectors and gaining especially wide experience in aeronautic and aerospace. Today Plyform is mission is to increase its competences through investment for innovation. This process involves equipment through a brand new investment plan, people thought full training, new research and development projects with new customers. Fully Equipped Areas Designed According To The Lean Philosophy for Aerostructures Assembly.